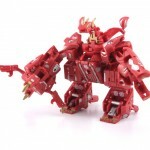 Collectors are used to seeing the sight of Bakugan toys at retail but now comes a new twist to the craze; combining figures! 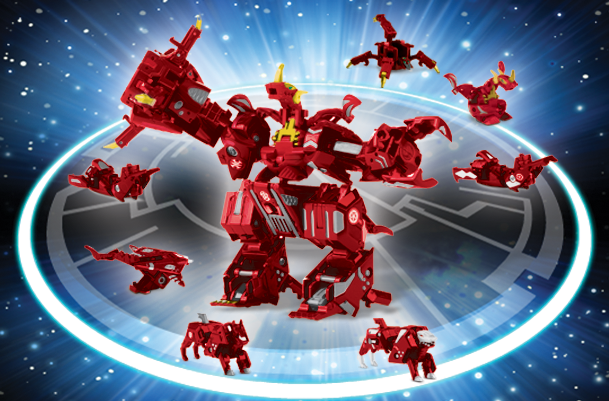 The Bakugan Multi Figure Combiners feature up to 7 Bakugan that combine into a massive battle monster! These were released recently, just in time for annual holiday shopping in anticipation of the winter holidays! 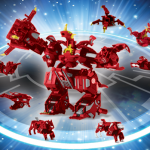 TFW2005 boards members racnruin and Death333 have posted images, showing the Maxus Dragonoid 7-in-1 combiner. Click on the title bar to check them out! Haha. It's like a REALLY bad version of Legends Devastator. 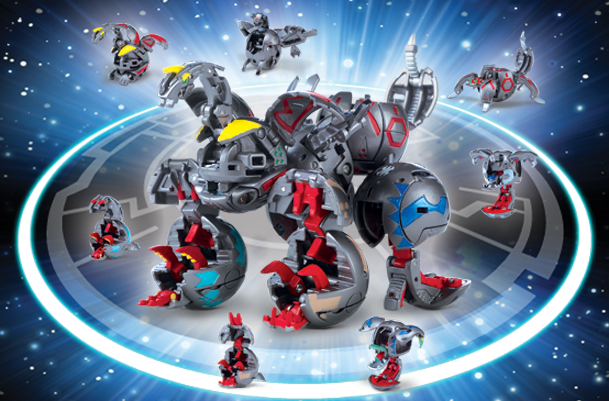 You know, I don't really get this Bakugan stuff, but this is kind of cool. KIND OF. I donno, the red one is actually pretty trippy. 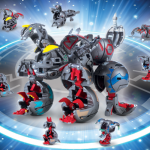 I might actually like to have one of those; and I don't know a thing about Bakugan. Bakugan always reminded me of the flavor-of-the-month import trend only this one's got a longevity that reminds me of Pokemon, interestingly. I haven't got into it, and doubt I will. 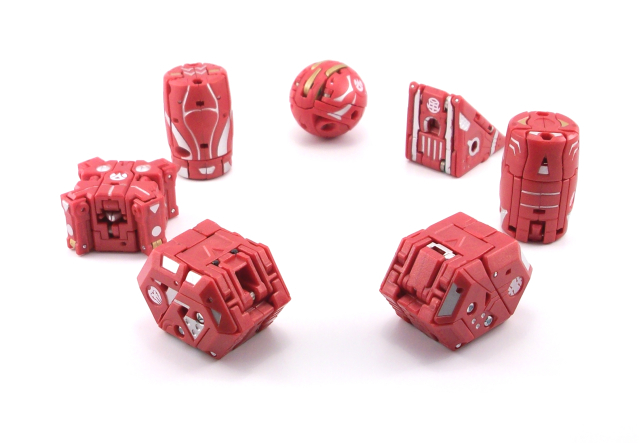 I did see a video of the bakugan balls in action and the gimmick looks cool. These combiners definitely got me interested, I wonder just how articulated they are. Think a little above G1. 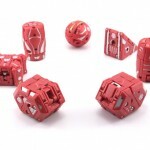 The combiner has movement in the shoulders and hips due to the connection points. Other than that you have some rotation in the arm pieces but it's not terribly useful as they're spring loaded so they kind of do what they want.